Do you love Watching Cricket Match & Looking for Best Live Cricket Streaming Apps? 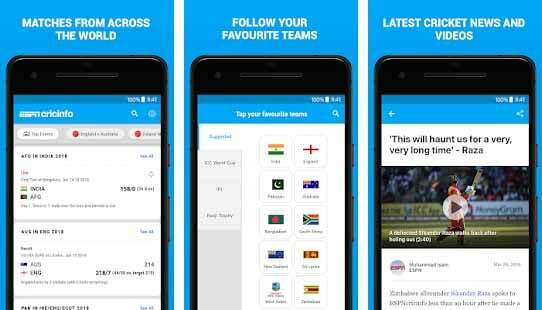 If Yes, then this Article is for you as today I’m going to Share the list of 7 Live Cricket Watching App For Android & iOS. Everyone loves Watching Sports especially Cricket & Football. If you are one of the who love Cricket Game, then these Apps are the Must Download App for you. Everyone doesn’t like watching sports on TVs, instead, they love watching on Smartphones or Laptops. From now, you can Watch every cricket match no matter where you are, you just need a Smartphone and an Internet Connection. These Apps will help you especially when you are bored sitting near your TV for hours and hours. 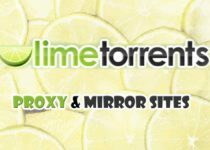 You can use these Apps and watch sports anywhere relaxing. Whether it’s a 20-20 Match or a One Day Match, you can watch each and every match without any issue. Also, you can Stream Live IPL Match using these Apps. So, if you are looking for How to Watch Live Cricket Match On Mobile, here is the list of 7 Live Cricket Watching Apps For Android & iOS. 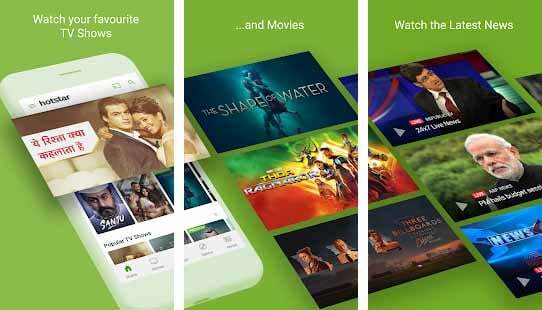 Hotstar is a Live Streaming App that lets you Stream Online Movies, TV Shows, Serials, Latest News, and yes, sports as well including Cricket. 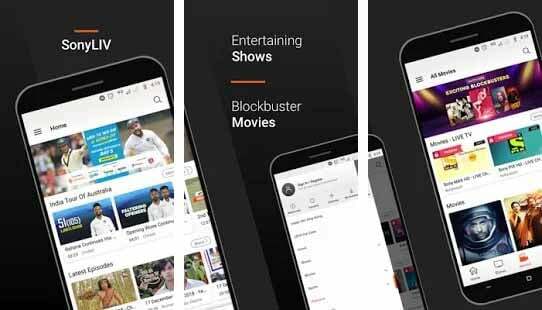 In Hotstar App, you can not only Stream Live Cricket Matches, but also other sports like Football, Golf, Hockey, Formula 1, Tennis and many other. You should have High-Speed 3G/4G Internet Connection to watch a live Cricket match without buffering. Hotstar is one of the Best Live Cricket Streaming App for Android & iOS. Do you have Jio Sim? If Yes, then you can watch live cricket match for free without paying extra money. Not only Cricket but you can watch every sport on JioTV App. 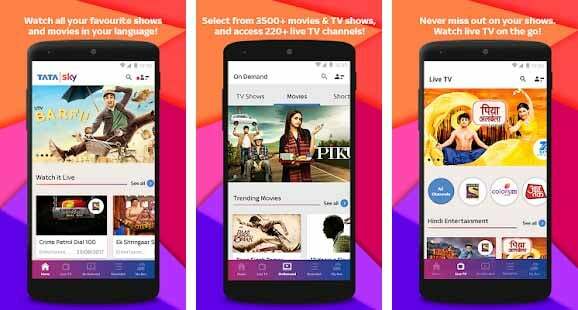 JioTV is one of the Best TV App where you can Watch all the TV Channels including sports channel. You can watch live ongoing cricket match for free via JioTV. To Watch Live Match of Cricket, you just have to download the JioTV App, Signup with your Jio Number & Finally select the sports channel. Done! 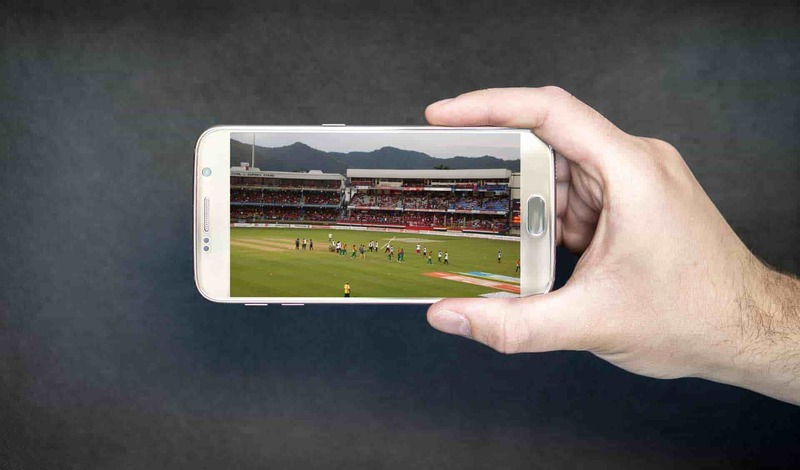 Now you can use this Best Cricket Streaming App to stream live sports on your mobile for free. 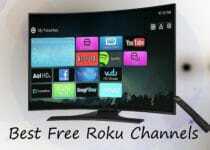 This is also the Best Live TV App for Android. SonyLIV is an App owned by Sony Pictures Networks where you can watch all the Sony Channels, TV Shows, Movies and Sports. This is another Best App for Live Cricket Streaming or any other Sports Streaming. You can watch all the live Cricket matches and you only need a high-speed internet connection to watch live Cricket in HD without buffering. Moreover, you can Watch other Sports including Football, Tennis, Volleyball, Pro Wrestling, MotoGP, etc. and all the Sony Channels as well. To Watch Cricket Match Live on Tata Sky Mobile App, you need to a Tata Sky Subscriber. If you are Tata Sky subscriber, then you can watch live TV on your mobile. First, download the Tata Sky Mobile App from the below link. After download, you can signin with your Account details and start watching live match of cricket. Apart from Cricket, you can also watch other live sports and live TV Shows. You can watch all the channels live on your Mobile using this App. Overall, this is another Best Live Cricket Match Watching App for Android & iOS. 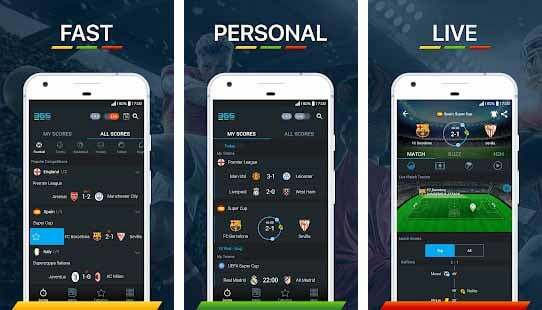 365Scores is one of the most popular and Best Live Sports TV App for Android & iOS. In this App, you can not only watch Cricket but also watch other sports. Talking about all the sports, the app has 10 different sports including Cricket, Soccer, Football, Rugby, Basketball, Tennis, Volleyball, Handball, American Football and Ice Hockey. The best thing about this App is you can select your match and team and configure push notification which will notify you during the live match. As the name suggests, it is a Cricket app where you can get all the cricket related news, scores, videos, stats, player info and much more. You might be familiar with ESPN Channel on TV, they also have their Online Website & App For Android as well as for iOS. This EPSNCricinfo is specially designed for Cricket lovers. Here, you can watch Cricket videos and get all the news related to cricket. 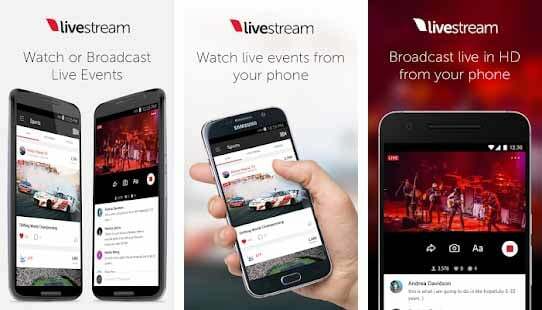 Livestream is another Best Free Sports Streaming App where you can stream all the sports like Cricket, Football, Volleyball, Tennis, Hockey, etc. 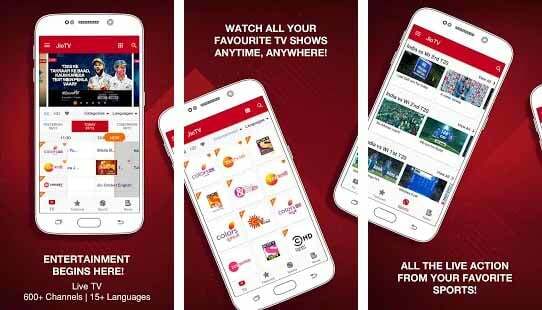 With this app, you can watch any of your favorite sports for free including Cricket. The best thing I like about this app is, it has a Built-In-Chat feature through which you can discuss events from other peoples. Moreover, you can Watch Live TV using Chromecast, Set Custom Notification for Matches, Watch Videos related to Sports, etc. You can use this App to Wach Live Cricket Match. Overall, this is another Best Live Cricket App for Android & iOS in the list. This was the Article On 7 Live Cricket Watching App For Android & iOS. Apart from this, there are other sites as well where you can Watch Sports but most of them are not good enough. Here, I’ve shared the Top Best Cricket Watching Apps where you can also Watch Live IPL Match. Hope you liked this Article On Live Cricket Watching App. Do Comment below if you know any other IPL Watching App or Cricket Watching App. Stay tuned with us for more latest Tricks & Updates.